Here are some sites that you may wish to visit, many of them have posted our link on their sites for which we are extremely grateful. Please note, links are added in the order in which they are received, so do scroll down, otherwise you may miss something of interest! Many thanks to Earl Davison, author of the book ‘YOU HAVE NEW MAIL’ for his generous donation of books for the troops. A very funny read, sure to bring a smile to many! “A recent request from ‘the sandpit’ reached Morpeth ACs Elaine & Glenn Middlemiss ….the long dark nights have descended and to while away the hours, on the few occasions that they can, the troops like to spend the time reading. To save disturbing their mates who are catching up on much-needed sleep, a simple solution is the small lights which attach to the book cover allowing enough light to read by but without flooding the room or bedspaces. ‘Babz Media from Middlesex’ have answered the call and offered an unbelievable discount meaning that we could purchase 1000 of the booklights which are ready for transfer to our troops in ‘theatre’. Our grateful thanks go to Babz Media for their generosity and support of our troops. Many thanks to Jon Juniper, author of Bullmaster for his kind donation of books for the troops. Visit his website here or download the book via Amazon. 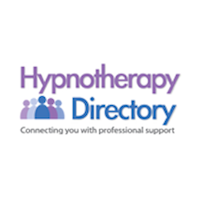 Counselling Directory was set up as a free, confidential service to encourage those in distress to seek help. Visitors can read about different areas of distress, view useful articles written by counsellors and refine their search to find the most appropriate help. Every counsellor on the site has either sent a copy of their qualifications and insurance cover to us, or is registered with a professional body online with recognised codes of ethics and practice, this way we can be assured of their professionalism. Your One Stop (Do It All) ShopThanks to Handyman Cumbria for their support to the charity. Thanks to Gala Casinos and Ensafe Consultants for their support of our Armed Forces. We would like to thank KNK Group for their Corporate Donation towards the British Military Tournament stand. In addition to this donation they are giving t-shirts to send in the boxes, so a sincere thanks to the KNK Group for that as well. Armourgeddon is a unique day out with fun for everyone. SOS merchandise is available to buy in their reception shop. We would like to thank them for their continued support. The warehouse and store is amazing – an Aladdins cave of kit and at very reasonable prices. So do have a look at the website, especially any cadets, as the kit required for camp is readily available. launch a fund raising CD to support Welsh troops and their families as they are deployed to Afghanistan again this week. The CD – a double single – called Tell My Father – with support track ‘Men of Harlech’, the regimental slow march of the guards – has been made with the generous support of many artists and technicians, all of whom gave their time and talents for free, in order to raise funds for The Welsh Guards Afghanistan Appeal Fund. The hope is to raise £50,000 by Remembrance Sunday this year. As increasing numbers of young soldiers are wounded or die, more &more pressure is put on money available from other sources and so, The Welsh Guards created their own fund to help soldiers and their families who are suffering as a result of the conflict in Afghanistan. Soldiers like Guardsman Dale Leach who lost a leg and was flown home with a shattered spine, not expected to live. Amazingly he survived but now requires special support and care and has to live with his parents.The fund has helped them to make improvements and adjustments to their home to accommodate Dale’s injury requirements. Parents of soldiers who have lost their lives also find solace in helping the fund like the mother of Lance Corporal Dane Elson, killed in 2009, who helps to manage the fund’s website. Mark Llewelyn Evans stepped forward after the he was approached by the Welsh Guards who had heard him singing ‘Tell My Father’. A successful soloist, Mark has performed in musicals and opera as well as with Katherine Jenkins for the Welsh Rugby Union. Last year he was asked by Guy Ritchie to appear in the new Sherlock Holmes film A Game of Shadows. The CD also features The Regimental Band of the Welsh Guards, Llantrisant Male Choir & renowned Welsh actor Richard Elfyn. The Guards are also performing in a 3 night concert tour in Wales on the 21st, 22nd and 23rd of March to support the appeal. Remember to buy it through the link on the SOS website home page! BLESMA is a National charity for Ex-Service men and women who have lost a limb/s or eye/s, or the use of limbs or sight, as a result of service in any branch of Her Majesty’s Armed Forces or Auxiliary Forces. Many thanks to New Balance for their support. At Forces Direct we marry the skills and attributes gained in military training and service to enable a successful new career for you. Forces Direct are an employment business specialist, for military leavers and ex-military personnel. It is universally acknowledged that the British Forces are the best trained in the world. We believe that this training together with the skills and experience gained by ex-military personnel, are directly transferable to civilian employment. Forces Direct Employment Services aim is to provide these men and women with the best and most appropriate career opportunities within UK businesses on a full time, part time or self employed basis. Very helpful storage facility in Leicester, also have a facility in Telford. A great help to SOS in Sutton. PETERHEAD’S IMAGINEERING: SIGNS THAT GET YOU NOTICED! Imagineering is located in the Northeast of Scotland in Peterhead near Aberdeen. We provide quality signs and associated services to Peterhead and the surrounding area of Aberdeenshire.